Loosening of facial skin and structure occurs over time, caused by the sun and other factors, slowing collagen production. Many of us would like the benefits of a face lift without the invasiveness, expense and downtime of surgery. Fortunately, there are many alternatives to a surgical face lift. All offer the advantages of lower cost and little or no recovery time. However its important to understand that the results will not be as dramatic as a true face lift. The right treatments for you depend upon your skin, your budget–and your realistic expectations about what you want to achieve. All skin-tightening techniques should be performed by a board-certified doctor. Start with a plastic or facial plastic surgeon, or a dermatologist. Have them do an assessment of your face and neck, and discuss with them what you want to improve. The doctor will suggest a treatment plan and options. If the damage is within the deeper structural layers, a surgical face lift will be the only way to repairs and re-position tissue and muscles that support the skin. Many doctors can combine surgical and non-surgical treatments to achieve desired goals. 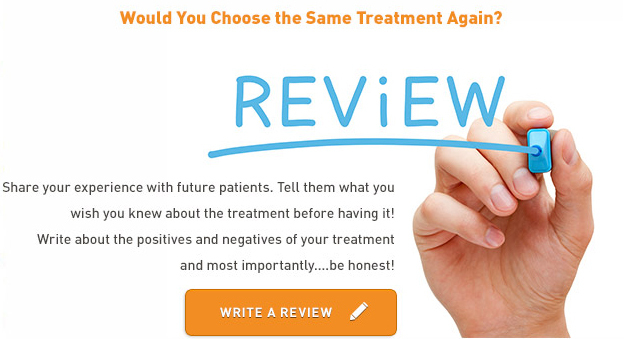 Once you understand what changes are possible, you can better evaluate your treatment options. Non-surgical procedures address different issues and can be done in combination with each other to achieve certain, specific results. Because they deal with only wrinkles and volume, not underlying tissue and structure, many experts believe that they are not face lift alternatives as much as “skin rejuvenation.” They work well with younger people and are often used to postpone a face lift procedure. Non-surgical skin tightening techniques fall into four main categories: skin resurfacing, dermal fillers, thermal skin tightening, and temporary muscle relaxation (Botox injections). Many also stimulate the body’s production of collagen, the natural substance that keeps skin full and supple. “Peels” remove outer layers of skin to minimize lines, wrinkles, sun damage and acne scars, and reveal smoother, fresher skin. The process triggers one of the body’s healing responses–increased collagen production–which also contributes to smooth, supple skin. Recovery time depends upon how invasive the procedure is. Costs vary from $300 (one medical microdermabrasion treatment) to $7,000 (one deep chemical peel). Chemical peels–acid solutions ranging from “mild” to “deep” remove damaged outer layers of skin, smoothing wrinkles, blemishes and uneven pigmentation. Lasers peels–high-intensity CO2 lasers, lower-powered erbium lasers, or multi-session Fraxel lasers address varying levels of skin damage. Microdermabrasion–non-chemical polishing of the skin with non-allergenic crystals to remove damaged layers, stimulate production of collagen and elastin, and revive the skin’s natural, healthy glow. Cosmetic dermal fillers replace lost volume with fat or fillers that smooth mild to moderate facial creases, re-contour hollows and jaw line, enhance cheeks and plump lips. Treatments also stimulate natural collagen production to sustain fullness. These injected fillers break down naturally in the body, but improvements generally last for months and treatments can be repeated as recommended by the manufacturer’s. Treatment costs range from $500 (collagen injection) to $2,000 (fat transfer / grafting). Thermal skin tightening systems use energy to jump-start the body’s healing and restorative responses. Infrared lasers (IR), radio frequencies (RF) or ultrasound waves heat deeper layers of skin while cooling outer layers. The skin contracts and gradually firms, and collagen production increases. Costs vary from $1,000 to $5,000. In Botox treatments, a purified form of botulinum toxin is injected directly into facial muscles to temporarily block contractions that cause frown lines, crow’s feet and other wrinkles. No anesthesia is required, there is little discomfort, and there is no recovery time. Lines improve within a week. The effects wear off, but you can safely repeat injections every four months.